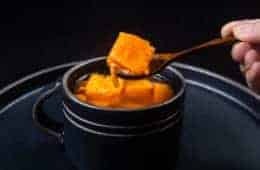 Make this 3-ingredient Instant Pot Egg Brulee Recipe (Pressure Cooker Egg Brûlée). 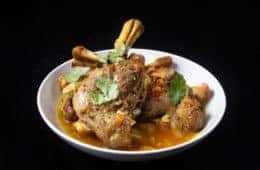 Impress your guests with this simple yet fancy hor d’oeuvre or appetizer. Perfect for potlucks or parties – fun to make & yummy to eat! What made it extra special was hanging out with my good friends from university! It’s been years since all of us gathered under the same roof. As we were preparing for the Christmas gatherings & potlucks, we came across these adorable Egg Brulee!! 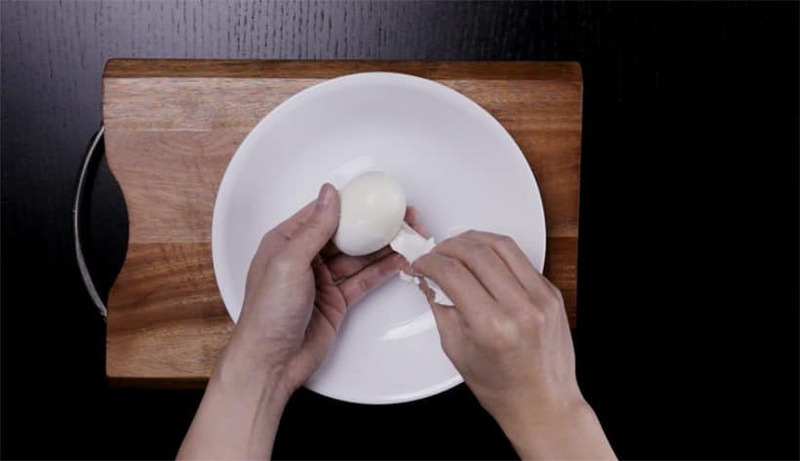 What a simple yet creative way of enjoying some luxurious soft boiled eggs! 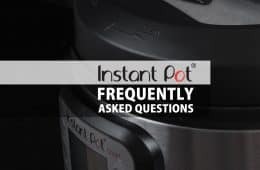 We simply adapted it for the Instant Pot and are thrilled to share with you!! 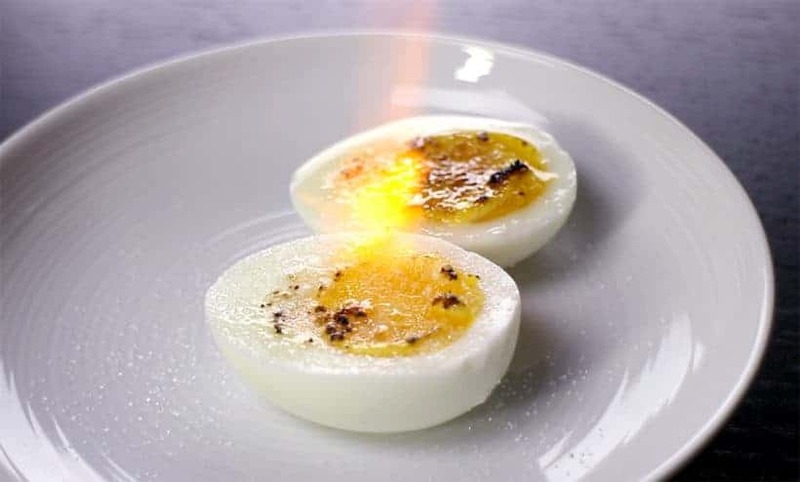 Brulee Eggs: smooth egg white paired with luxurious yolk & crisp crackable top; slightly smoky caramelized aroma with sweet-savory flavors. 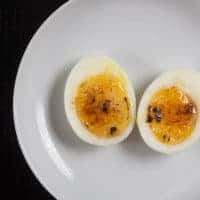 So for your next party, instead of Deviled Eggs – make Instant Pot Egg Brulee!! 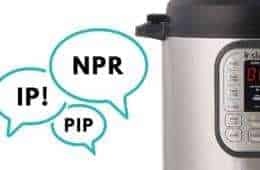 Cooking eggs in Instant Pot is tricky. 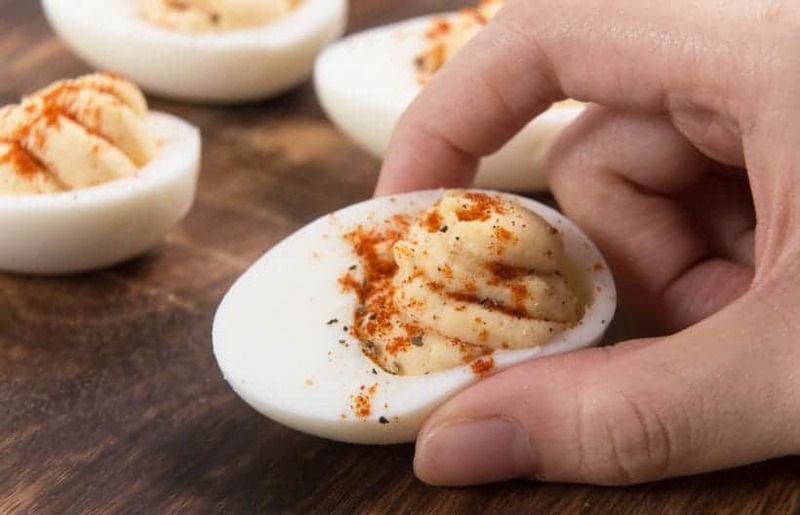 Making Instant Pot Soft Boiled Eggs is even trickier. 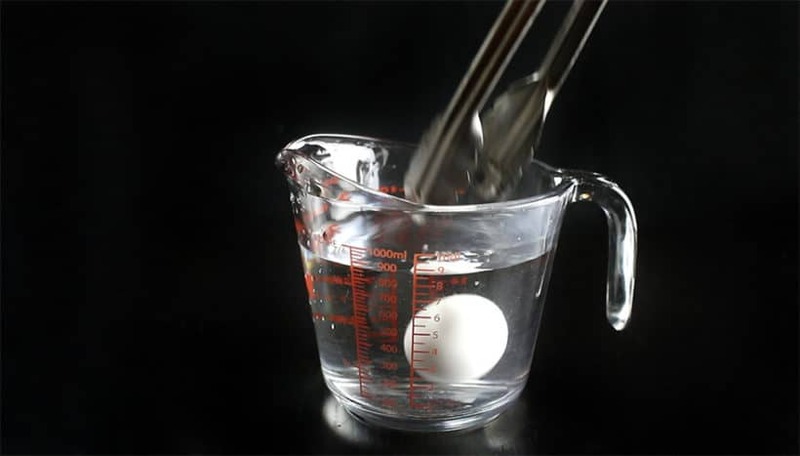 It’s better to season then torch each half of the egg individually, because if you sprinkle the sugar all at once, the sugar will melt on the eggs after a prolonged period. If the eggs are not caramelized to your desire – don’t be afraid to sprinkle a second layer of sugar on top and torch it immediately. 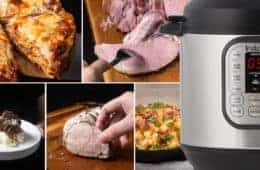 Hence, the amount of eggs you cook will affect the best pressure cooking time. So adjust your cooking time accordingly. 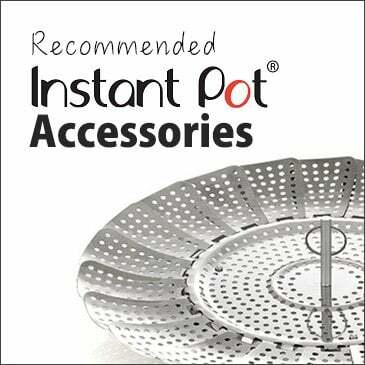 Place 1 cup (250 ml) of cold water and a trivet in Instant Pot Pressure Cooker. 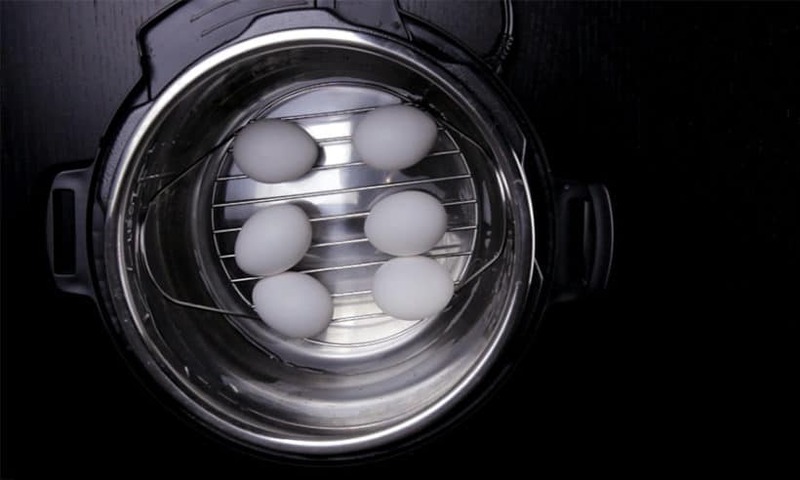 Place 2 – 6 large eggs on the steamer rack, close the lid. *Pro Tip: For Jumbo (XL) eggs, add an extra minute to the pressure cooking time. Immediately place the eggs in a cold water bath. Gently peel the eggs under cold running tap water. *Pro Tip: It’s easier to start with the wider end. With a paring knife, cut eggs in half. When ready to serve, add a pinch of table salt and ~ ½ tsp granulated sugar for every half of the eggs. Immediately use a culinary torch to melt the sugar until it caramelizes evenly to form a hard crispy top. 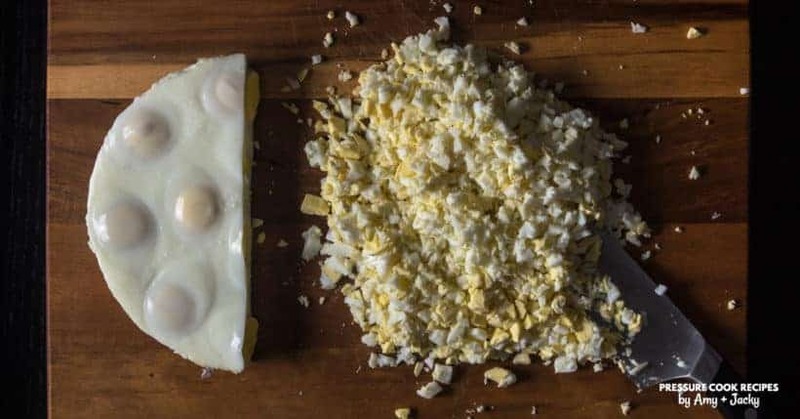 *Pro Tip 1: It’s better to season and caramelize each half of the egg individually as the sugar will melt on the eggs after a prolonged period. *Pro Tip 2: If the eggs are not caramelized to your desire – don’t be afraid to sprinkle some more sugar on top to create a second layer and torch it immediately. Make 3-ingredient Instant Pot Egg Brulee Recipe (Pressure Cooker Egg Brûlée). 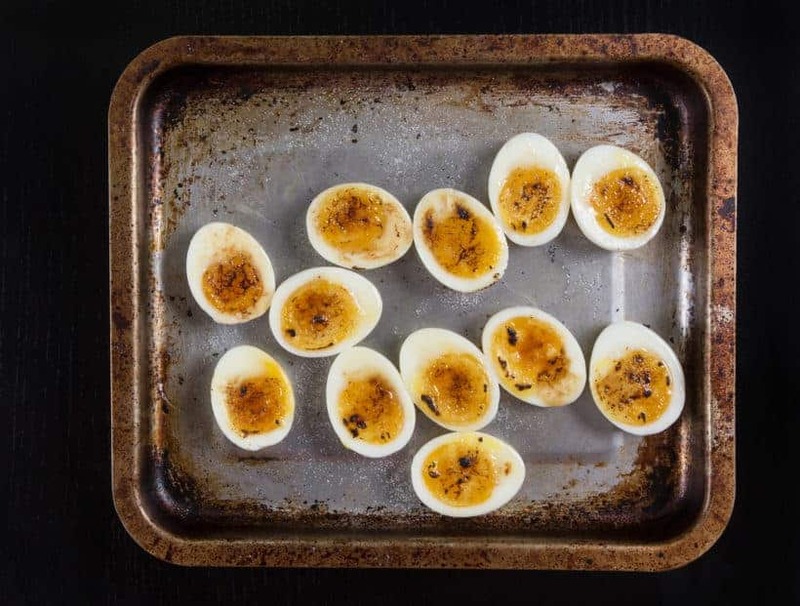 Impress your guests with simple yet fancy soft boiled egg hor d'oeuvres or appetizer. Adorable for potlucks or parties - fun to make & yummy to eat! 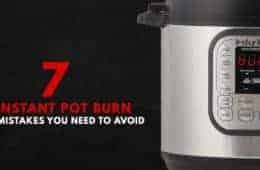 Place Eggs in Pressure Cooker: Place 1 cup (250 ml) of cold water and a trivet in Instant Pot Pressure Cooker. Place 2 - 6 large eggs on the steamer rack, close the lid. Open the lid carefully. Immediately place the eggs in a cold water bath. 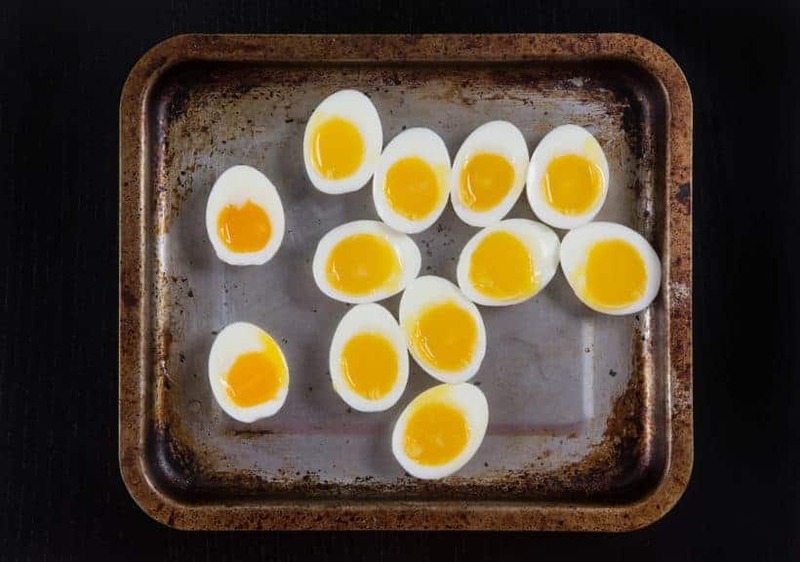 Peel Soft Boiled Eggs: Gently peel the eggs under cold running tap water. It is easier to start with the wider end. 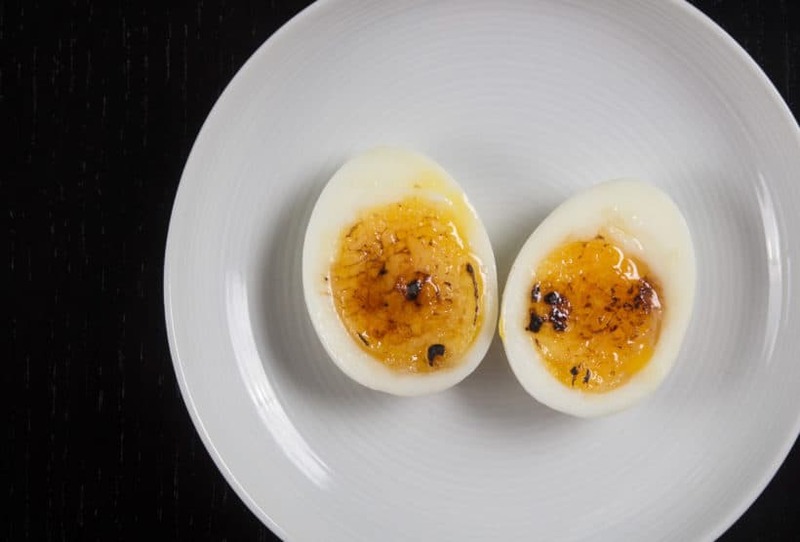 Create Egg Brulee: With a paring knife, cut eggs in half. Add a pinch of table salt and ~ ½ tsp granulated sugar for every half of the eggs. When ready to serve, use a culinary torch to melt the sugar until it caramelizes evenly to form a hard crispy top. 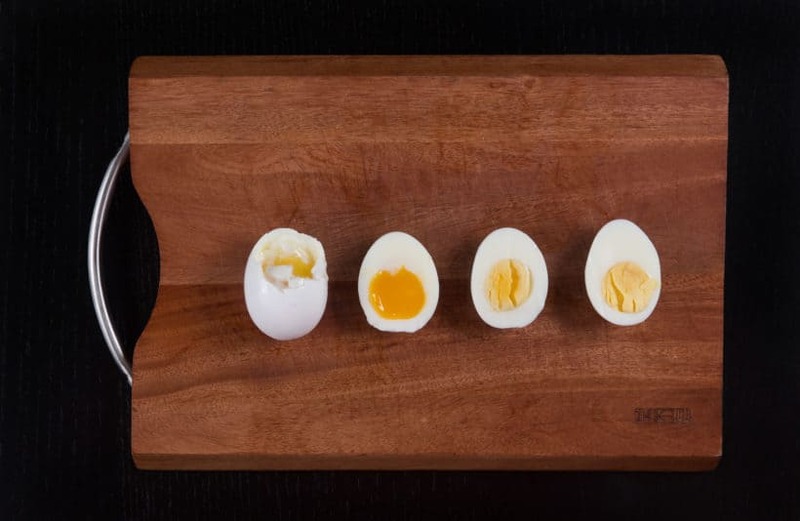 *Pro Tip: For better results, season and caramelize each half egg individually because the sugar will melt on the eggs after a prolonged period. I would try reducing the cooking time by a minute for high pressure. Did you also test larger quantities of eggs? What about 10 or 12? 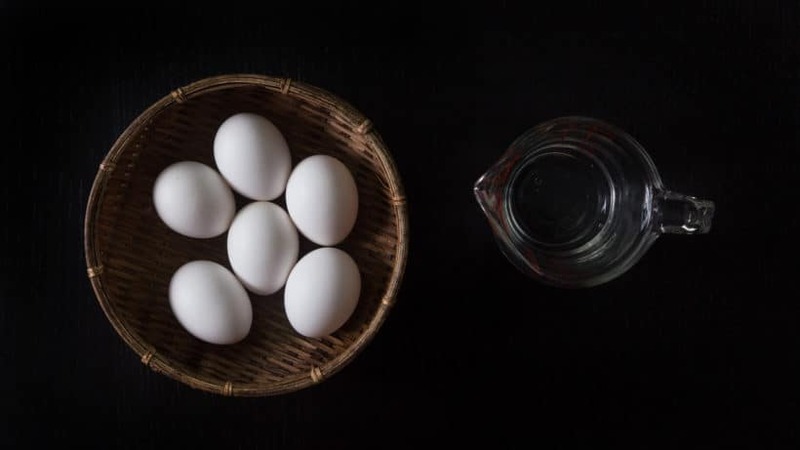 It would also be nice to update the original perfect pressure cooker eggs post (https://www.pressurecookrecipes.com/pressure-cooker-soft-hard-boiled-eggs/) with this table. Thanks!! We will test 12 eggs and then update the original post. Do you serve these warm or chilled? Would the tops stay crisp if chilled in fridge? Both warm or chilled will work. You will want to do the caramelizing part right before serving. Happy New Year & Have a great weekend! Is it really less time for more eggs and more time for less number of eggs?? We tried it in 2 different models with the same result.